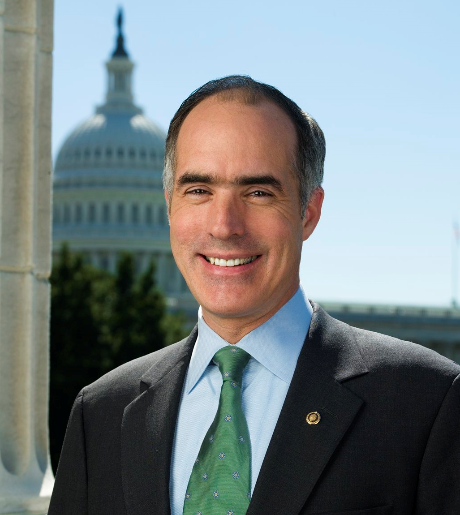 Senator Bob Casey began his push towards re-election by raising $2.7 million in the first quarter. He ended the quarter with $3.8 million on hand. “Senator Casey is running a strong campaign based upon his record of fighting for Pennsylvania and delivering results on behalf of his constituents,” Casey’s campaign manager M.E. Smith said. Casey received donations from all 67 counties in Pennsylvania. Casey’s team is pushing that 93% of the donations were from small dollar donors who gave under $100. “This fundraising quarter demonstrates that Senator Casey’s campaign is powered by grassroots donors in every corner of this state, and he remains in a strong position to compete in this environment,” Smith said. The money raised is slightly ahead of Senator Pat Toomey during the same period, who raised just over $2 million in the same period in 2015. Update: The National Republican Senatorial Committee responded to Casey’s fundraising. “Bob Casey’s lurch to the left has put his reelection chances in deep trouble and he knows it. Casey will need every dollar he can get his hands on to explain to voters why he has chosen Washington liberals over Pennsylvanians,” NRSC Spokesman Bob Salera said in an email. Bob casey is a fraud and those who blindly follow him, get what they deserve. He voted strictly along party lines, he’s an obama lap dog. He’s brought nothing to Pennsylvania, no jobs, nothing. He’s for big money, unions and cares nothing for the working class. He should have been removed from office years ago, he is by no means his father. Casey will get the more votes than any state wide candidate in 2018, AGAIN. Toomey is a LOSER in all ways at all times. That is his essence. Well he’s not screwing around.